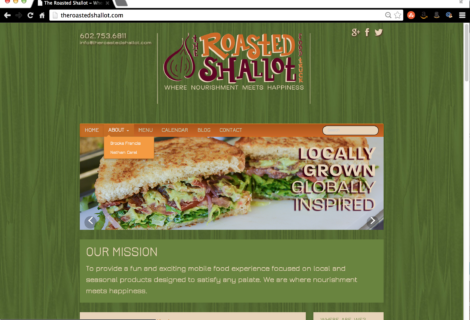 So far I’ve shown you The Roasted Shallot‘s branding, the food truck decals and the website. 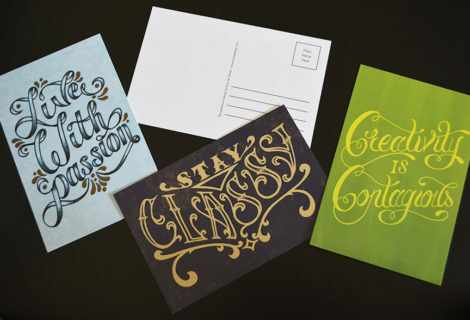 Next they needed business cards, a letterhead and a branded menu. 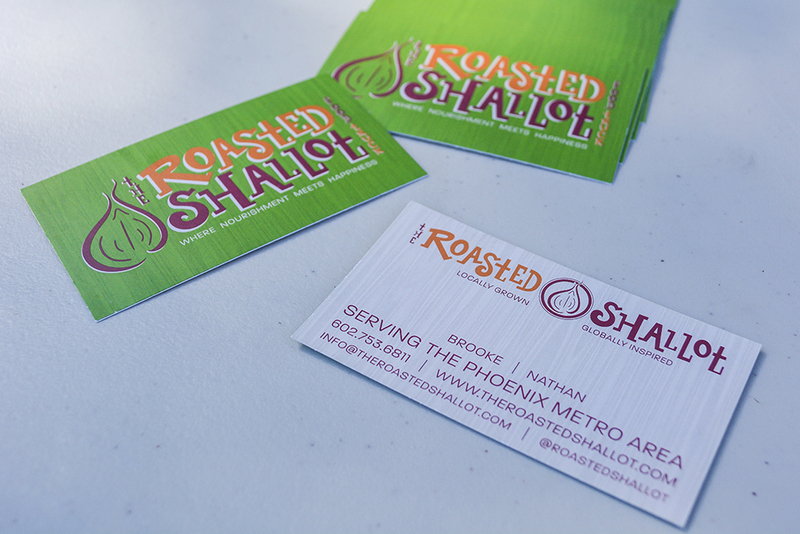 When I first met Nathan and Brooke of The Roasted Shallot food truck they were so excited they had just gotten their business cards printed. They still needed a logo and had no website, but at least they had a way of promoting and spreading the word about their new soon-to-be business. 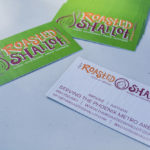 We always knew that they would need new business cards as soon as we nailed down the branding. I set to work immediately after the website was finished just before they opened up shop. Even though we live in a digital world sometimes we still need to send a letter. 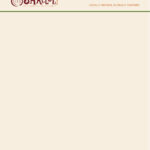 I designed them a very simple matching letterhead that will be printed on cream stock. 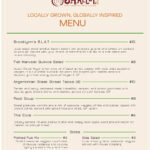 Since The Roasted Shallot uses local seasonable products, their menu is always changing with seasons. They needed a menu that can be easily updated as they switch out items. This menu can easily be printed at home and placed in the plexi display. The menu sits on the end of table in front of the truck so customers waiting in line can read it. 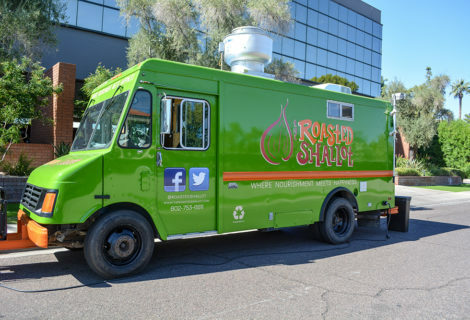 There is also a large free-standing marker board version of the menu that stands in front of the truck as well. © Copyright 2018 Amy Has Design.